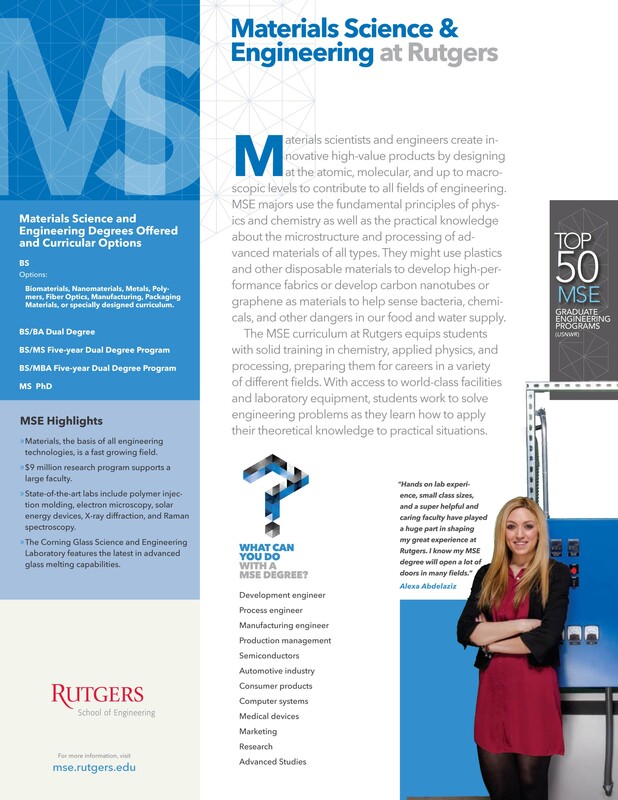 Welcome to the Department of Materials Science and Engineering at Rutgers! As we commence the 2018/19 academic year, I'd like you to consider the role that materials play as the foundation for all engineering technologies. Materials are all around us!! Some enable stem cells to be grown into human tissue, others enable modern aircraft to fly incredible distances with amazing efficiency, and still others enable your mobile phone to be a miracle of functionality at a crazy small size. Plus, huge amounts of polymers, metals, glass, ceramics and composites, mostly made in the USA, populate our environment and create our modern lifestyle. Enabling all these aspects of modern life is what material scientists and engineers do! Using the principles of physics and chemistry, materials scientists study the atomic structure, processing, and properties of materials. By understanding the nature of materials, they enable the design and engineering of new components and devices for applications from biomedicine to consumer packaging to electronics. The possibilities are endless in materials science. 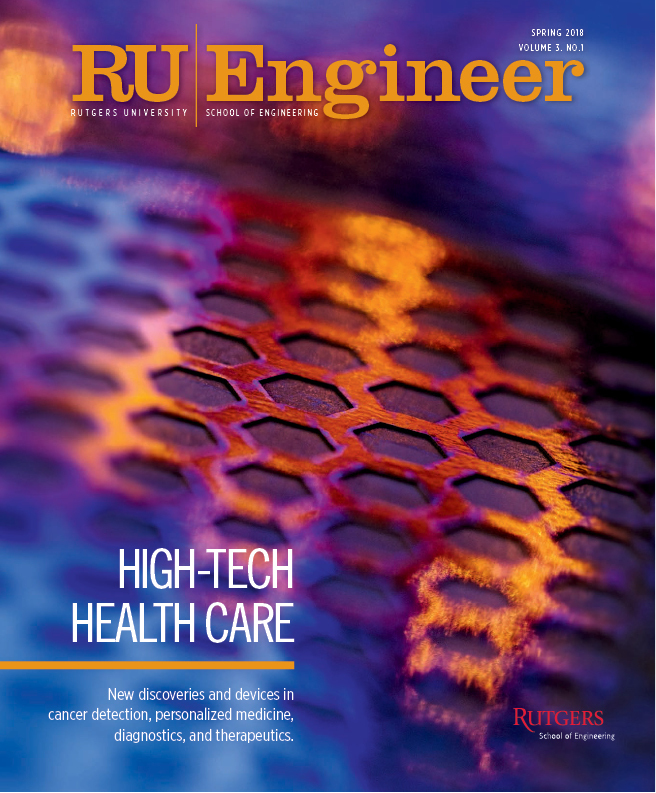 Here at Rutgers-MSE, we have state of the art laboratories and five major research and education centers that innovate in critical areas as diverse as energy storage, nanomaterials, and polymers. Our faculty are recognized as leaders in their fields, are appointed as fellows of professional societies such as the National Academy of Inventors, MRS, and IEEE, and are winning major research awards from DOE, NIH, and DARPA. We have a low student-faculty ratio which allows students to participate in exciting research in all phases of modern materials. Our students benefit from our excellent relationships to industry gaining valuable experience during internships at companies such as Stryker Orthopedics and Lockheed Martin. Many of our graduates go on to work in industry at employers such as Corning and Honeywell, whereas many others will continue their education at some of the best graduate schools in the country. Whatever path our students choose, they find Rutgers-MSE to be a close-knit group that nurtures learning, innovation, discovery, and lifelong connections. Please, take a look at our website and reach out to us if you have any questions. I hope you’ll consider a future in our department; it is a GREAT place to begin an exciting career.